TOWCESTER TAXI AIRPORT TRANSFERS 01908 263263 RELIABLE ROAD TAXI TRANSPORT: But Be Honest, What Else Did You Expect From Uber, The Tories And TfL After Waiting And Seeing??? 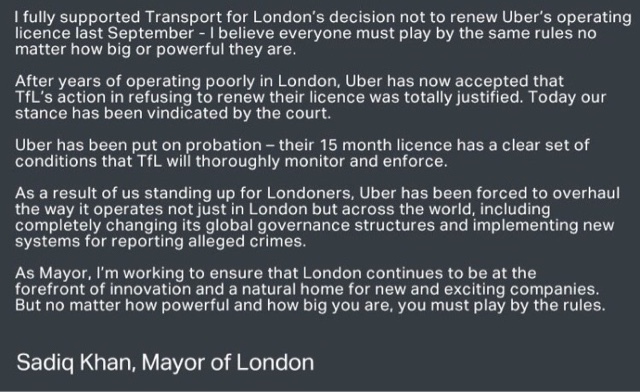 But Be Honest, What Else Did You Expect From Uber, The Tories And TfL After Waiting And Seeing??? 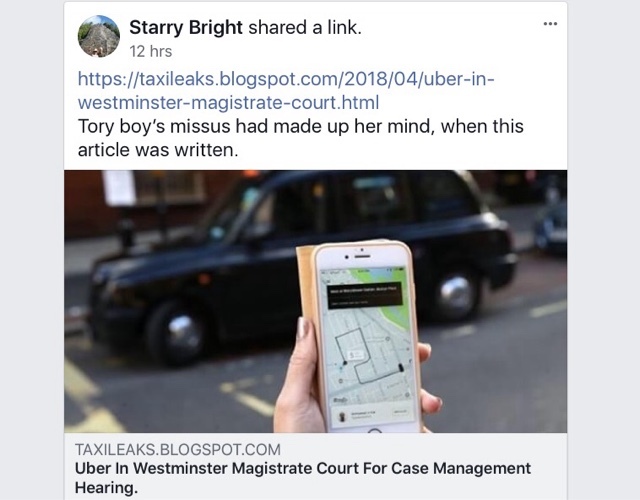 I have to ask all @TheLTDA members "have you not asked your org how come they didn’t know about the connection between the Tory’s and yesterday’s Magistrate the fact that she’s married to a Tory MP? How can an org as switched on as @TheLTDA miss something as important as that ???" The Taxi trade has always had a football supporter type mentality...if we were a football team, would it be time to sack a clueless manager and get a new one??? 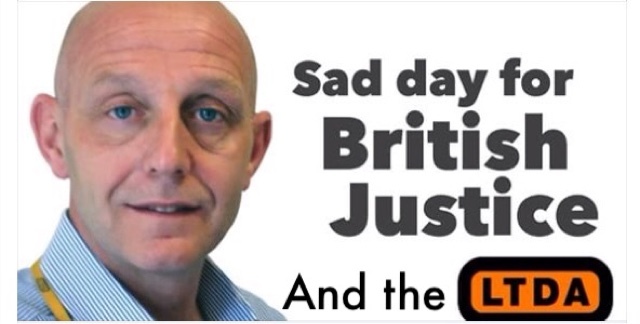 The impartiality of the legal system in the UK took another blow today. 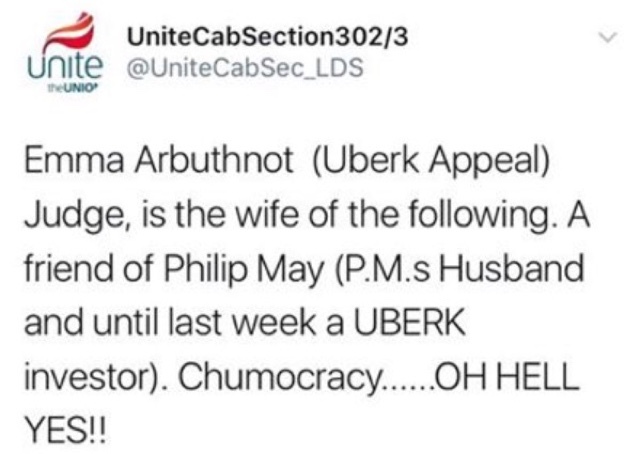 Emma Arbuthnot gave Uber it’s London licence back this aft. She is married to Tory MP, James Arbuthnot. He was made a life peer by David Cameron in 2015. David Cameron warned Boris to back off Uber when PM. 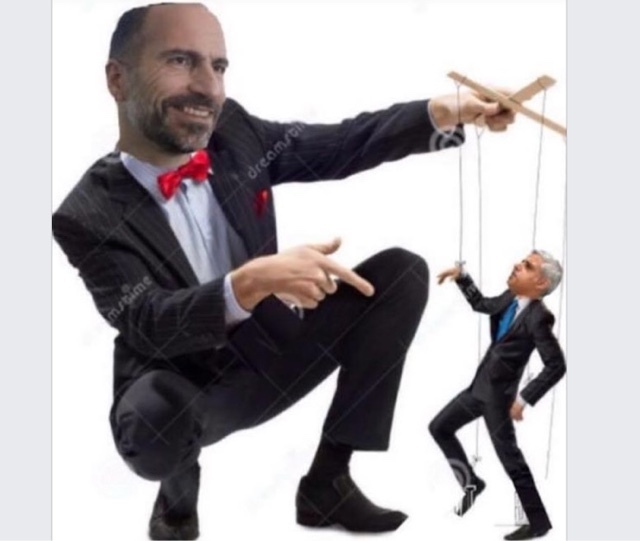 So Uber admits 2million illegal journeys a week for six years with 2,500 drivers under investigation for various crimes, 154 sexual assaults last year including 48 UberRapes, 3 alleged terrorist attacks from Uber drivers, the hacking of customer accounts, spying on customers even after they've left the car (GreyBall), 13,000 fake CBR checks, thousands of fake medicals, operating from unlicensed premises etc...what ever happened to Khan’s promise of one hit and they’re out? Uber has been granted a 15 month licence to operate in London by Westminster Magistrates Court with a clear set of conditions. 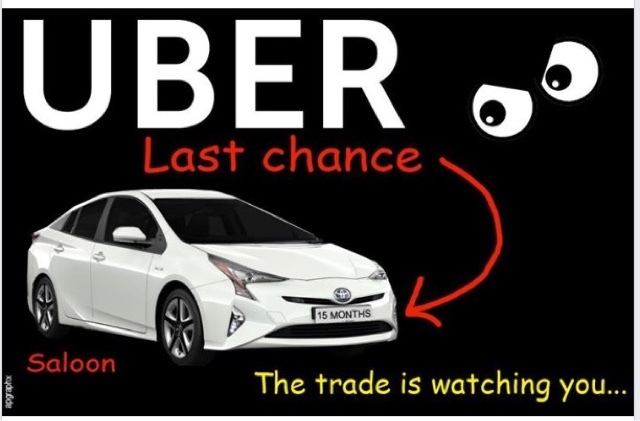 Uber remains strictly on probation, and @TfL will monitor it closely. No matter how big or powerful you are, you must play by the rules. 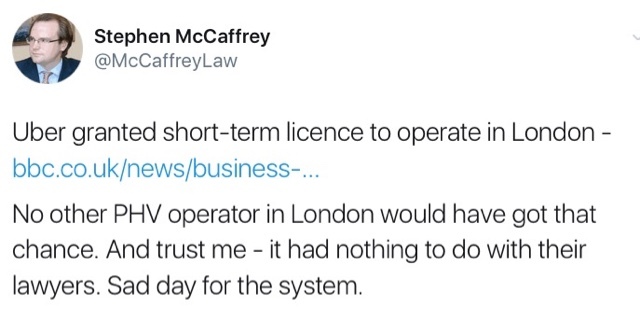 All they had to do was say sorry and TfL give them a 15 month licence. 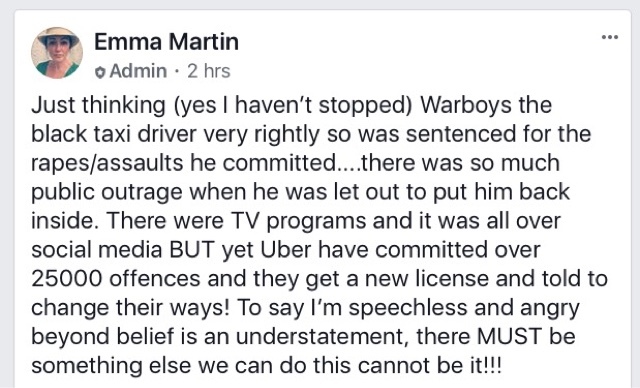 Does that mean that if Warboys and Perry say sorry they can have their Taxi licenses back?? ?